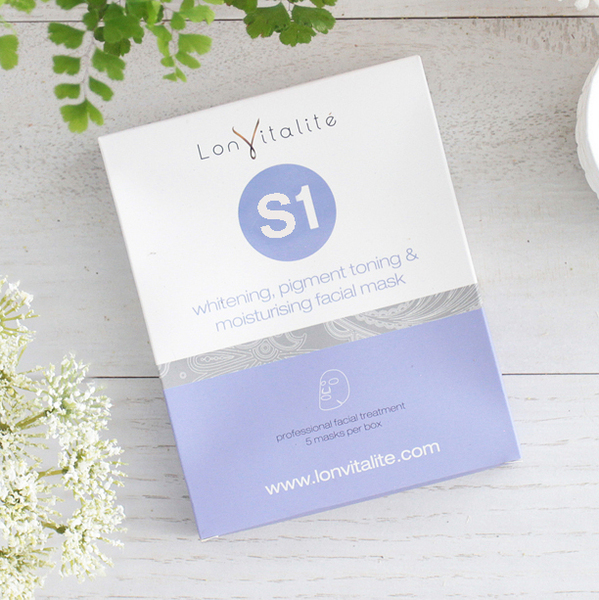 Lonvitalité’s S1 Face Mask reduces visibility of pigmentation that can result from pregnancy, hormones, and sun exposure. It is moisturising and nourishing, helping to smooth out wrinkles and replenish skin with moisture. 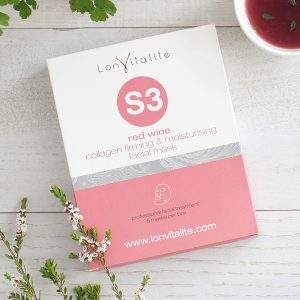 Lonvitalité’s S1 Silk Sheet Mask helps to reduce visibility of pigmentation that can result from pregnancy, hormones, and sun exposure. It’s both moisturising and nourishing helping to smooth out fine lines and replenish skin with moisture. Containing Vitamin C which aids in inhibiting the production of melanin effectively brightening the skin to help reduce and fade damage caused by exposure to UVA and UVB. 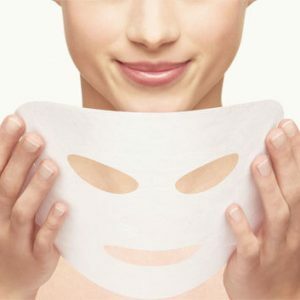 All Lonvitalité masks are individually foil wrapped in packs of 5. 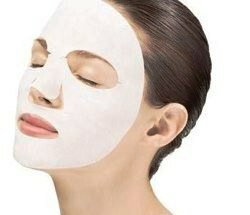 * For a heightened element of pampering in summer put the mask in the fridge to cool before applying. For a winter time treat, place the unopened satchel in warm water for 2-3 minutes prior to use. Recommended Usage: For best results an initial 5 day program using a treatment once per day, then 1 to 2 masks per week is recommended to keep your skin looking and feeling it’s best. Directions: Wash face and pat dry. Remove the mask from the packaging and apply, gently pressing into place with fingers. Rub remaining serum into neck and decolletage. Leave on for 20 mintues. Remove mask and pat excess serum into skin. Ingredients: Water (Aqua), Propylene Gylcol, PEG-40 Hydrogenated Castor Oil, Xanthan Gum, Tocopherol (Vitamin E), Methylparaben, Dipotassium Glycrrhizate (Licorice Extract), Vitamin C, Ellagic Acid, Fragrance (Parfum).